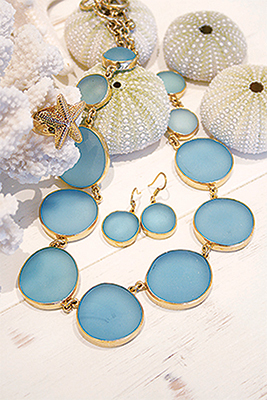 Be enchanted by sea inspired paintings, glass, sculpture, and one-of a kind artisan jewelry, along with nautical pieces and unique men’s gifts. Sea Spirits Gallery is located at 210 St. George St.(south of King Street), adjacent to its sister gallery, the Lost Art Gallery. Gallery owner Victoria Golden is a fine art appraiser, archaeologist, and a member of the Explorer Club. 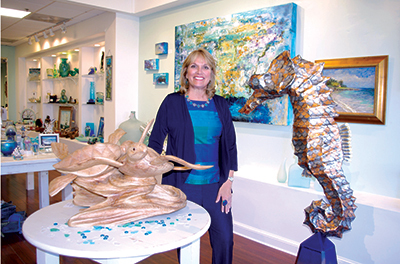 Her passion for the sea and her love of art are evident everywhere in the gallery. The varied tones of aquas, blues and greens of the artwork combine to create a watery light throughout the gallery – the kind of light that could easily attract Sea Spirits. Great for holiday shopping!